There are two primary functions to StringWizards (SW). 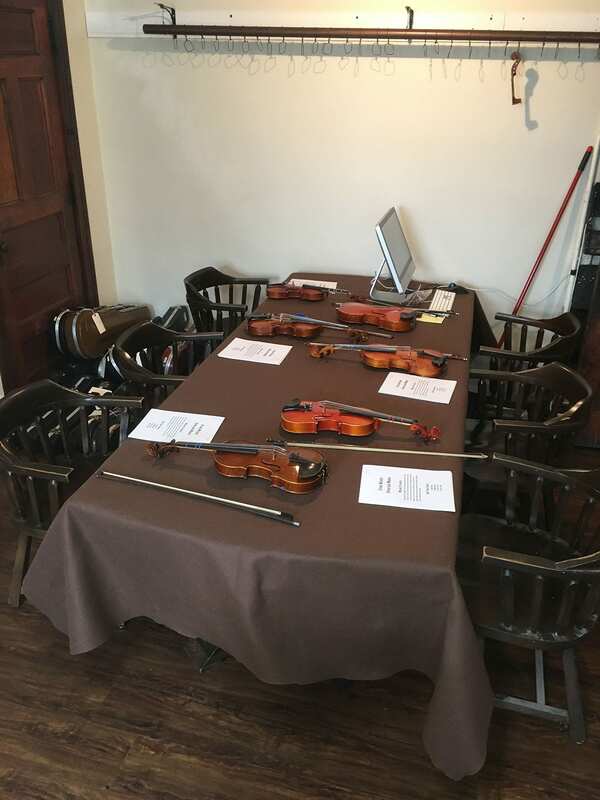 The first function is providing high school music students with violin repair skills sufficient to address violin maintenance and playability adjustment services for tuition free music programs serving for low income families. In a traditional music education profile, a family owns or rents an instrument. When that instrument starts to crack or rattle, several adults interact. 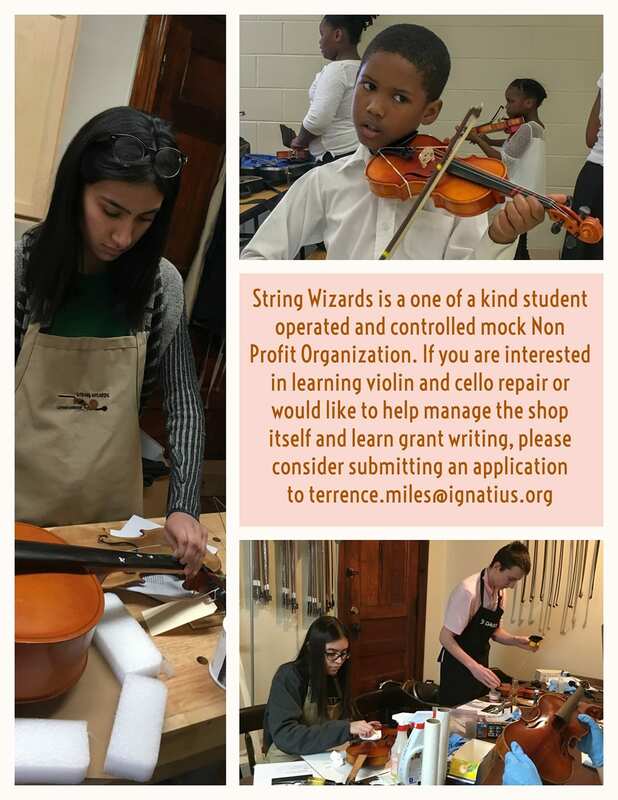 In a tuition-free music school with its own inventory, no such circumstance exists, so StringWizard’s outreach is specific to that situation. Our shop helps with both the maintenance and procurement of these instruments. It should be no surprise that these expense categories are the first to be reduced when non-profit boards are confronted with budget shortfalls. 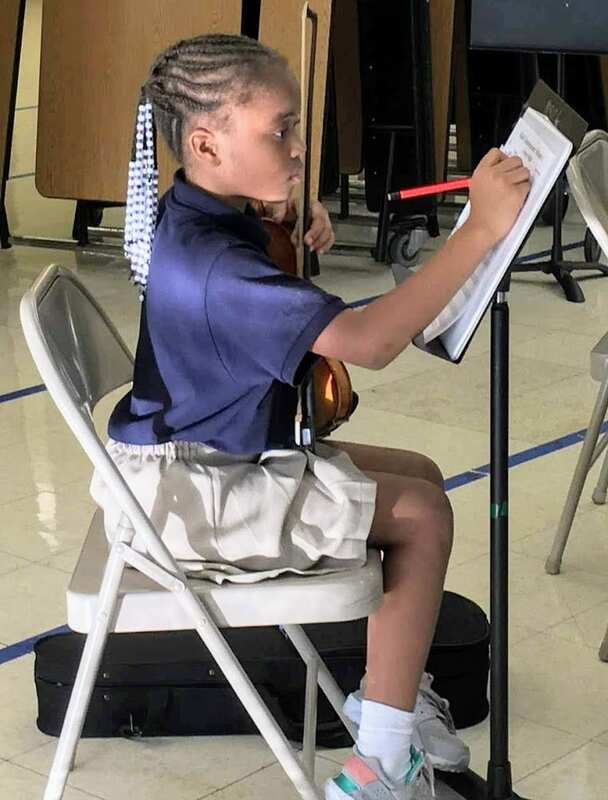 What was surprising to me was the lack of any formalized inspection regimens and the potential for accumulated neglect which, viewed together, are an obstacle to orchestral sound and individual student progress. Program directors and string teaching staff are good people but they lack the training and equipment needed to address what historically is outside the purview these roles. Further, while 10-year-olds can easily recognize a deflated soccer ball, they have no comparative experience with string instrument functionality. They sadly internalize a lack of sound progress as a shortcoming on their part. Integral to this discussion of program value is this Youtube from the neuroscience department at Northwestern University on music education specific to poverty population children and their academic readiness and what music education can provide. The second primary function of StringWizards is college readiness for our volunteer interns. We are a collegiate level, inter-disciplinary, social entrepreneurship experience edited for a secondary school setting. 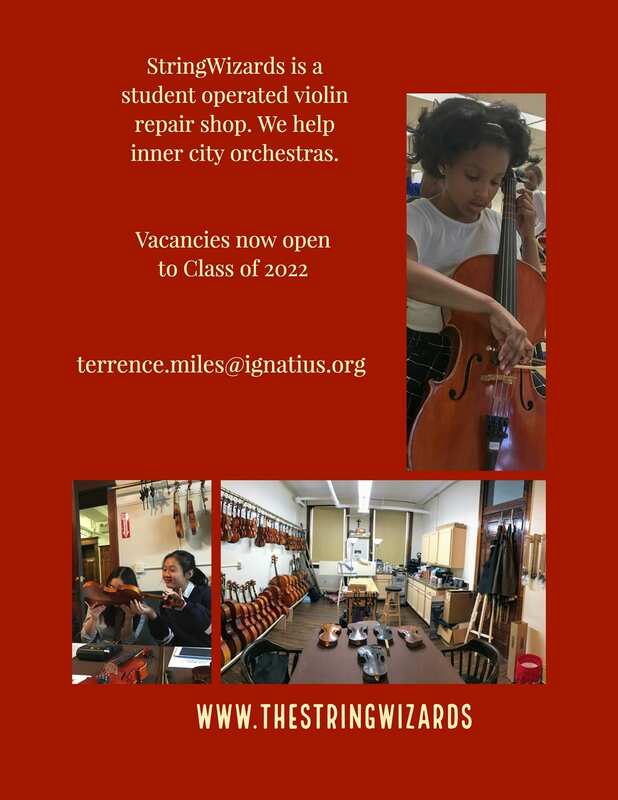 There are three course outcomes for the shop participants: 1) to learn violin repair, 2) to manage the business side of a music and arts service organization dedicated exclusively to inner city chamber and symphony orchestras, and 3) to publicize shop output, and create for themselves an opportunity to practice and simultaneously acquire résumé writing skills and build college admissions collateral, all while being exposed to how the arts educators reach out to the ENTIRE community. 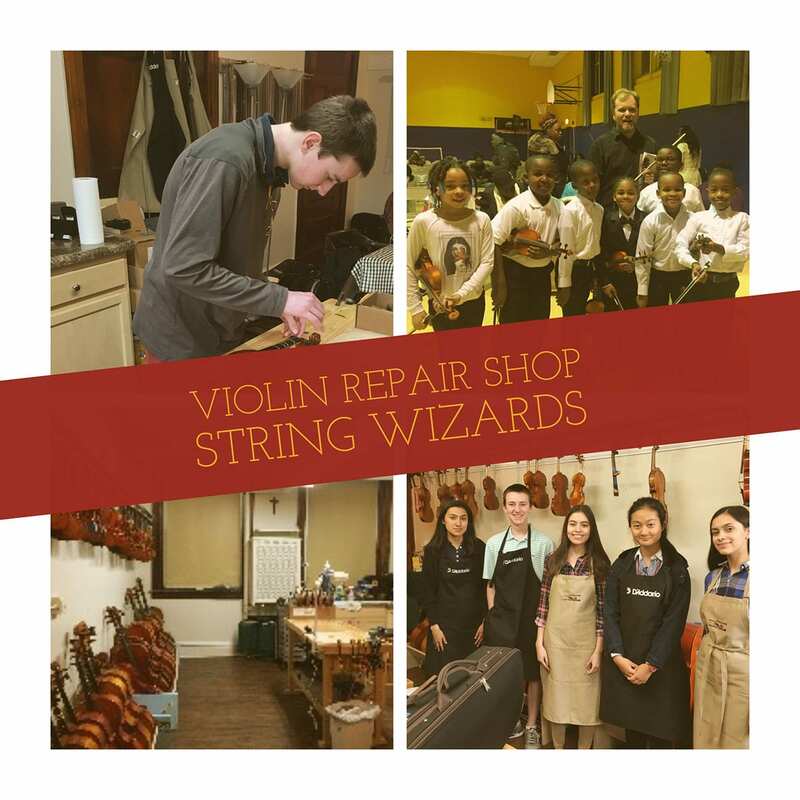 SW shop time is divided between violin repair and creating promotional material for a digital world. Sample grant inquiries and guest speaker invitations are sent to major Chicago arts foundations requesting mentorship–not funding. Responses have been positive to date and more are planned. Several energies coalesced to create this service. Basic violin setup, or cleaning and re-stringing can be mastered by an interested teen. This in turn provides the teens and their school or hosting orchestra with positive public service publicity—not to mention a possible reduction to their own in-house maintenance costs. Another surprise to me was the ease with which the local violin trade stepped up to cooperate when asked with used parts and surplus inventory. There are two targeted audiences. The first is the city’s smaller non-profit orchestras and their participating families. 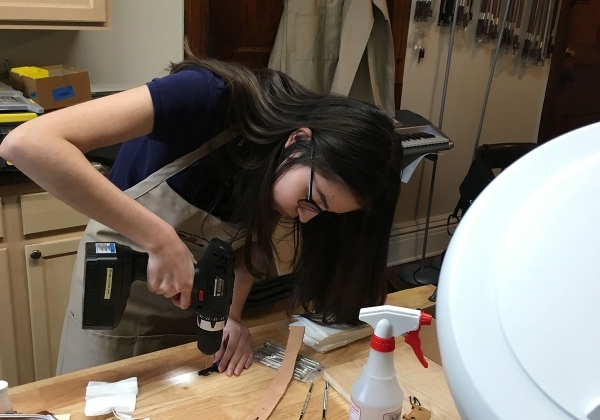 The second is the participating high school music students who apprentice for violin repair and restoration while building college essay collateral, and learning how the non-profit music arts prosper. I operated out of my car for several years at various school locations and it was a joy to work with 10 year old helpers. Only reluctantly did I admit to the significance to what I was providing, and the need for a more productive model. Locating a host high school is a challenge since the concept is quite foreign and involved several discussions with different entities within the school. Student motivation and retention was a fear, since intended target students carried full academic and co-curricular loads already, and enrolled planned for five or six. From a monetary and operational standpoint, I am main sponsor, but I could never have achieved this level of success without my co-sponsors. I am indebted to a half dozen people who formally or informally offer their expertise or who regularly are there to supply my recurring inventory needs. Primary among them is The D’Addario Foundation for strings and Hungry For Music for donated parts, instruments and luthiery tools. Without direct assistance from us, this child would be on a waiting list. Only by the chain of shared energies does she get to be the young musician, that you can see her. We are just the support organizations. The inspiration comes from her teacher and community created by that tiny music school. This private charity of mine that has potential to have portions replicated with much less money than the sum shown above or in the attached XL file. The need for equipment and supplies depends on the intended profile of repair. The apprentices run a tight budget. For grant writing purposes they keep a strict accountability for parts and labor. All work is invoiced using a student managed database. Completed instruments are cataloged and individually leased (rent free) to participating orchestras. In the past year the capitol assets of the shop have tripled to about $50,000 in donated parts and instruments thanks to https://hungryformusic.org/ and others. Last week we leased out $7500 worth of instruments to https://www.musicincchicago.org/ This was ascertained using published industry parts and labor costs, and entered into the shop’s student-accessible customer and inventory database which has 18 sub-tables and thousands of cross referenced records. No changes were made this year from last year, beyond clerical refinements. The short answer is call me. Music has its own power. The dual program of instrument repair and intern skills development is integral in my opinion for greatest output. 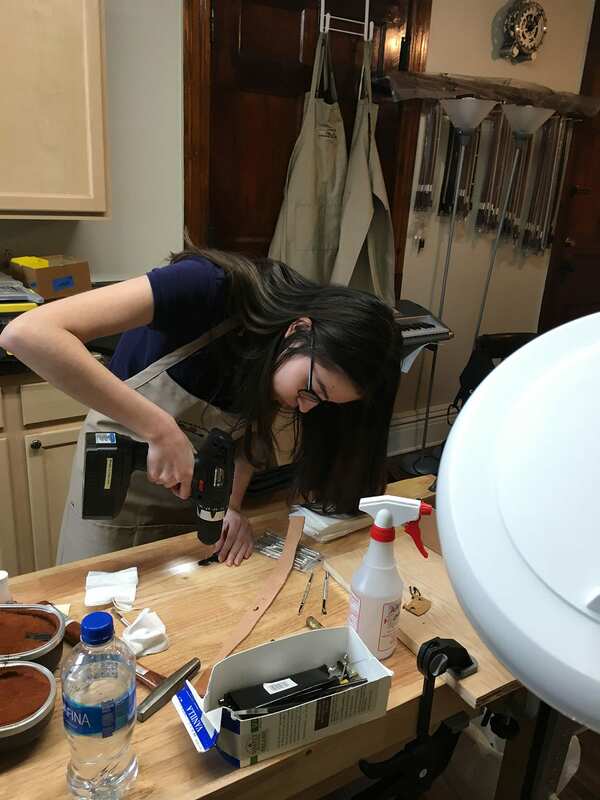 However a similar effort can stay within an elementary school setting, and limit output and services limited to cleaning supplies and rags plus new strings and expendable replacement bows at about $18 a piece. Several cautions: If string students are selected, practice time cannot conflict with shop time. To pursue the shop + non profit model, the ops director needs both disciplines. My attempts to make this a Music Department to English Department handshake continue to be a work in progress, and perhaps best addressed as a threshold topic to program design.